The freeze-dried beef patties are made from the best quality, all-natural, human-grade, antibiotic and hormone free, USDA-inspected beef, freeze-dried to lock in the freshness of real meat. 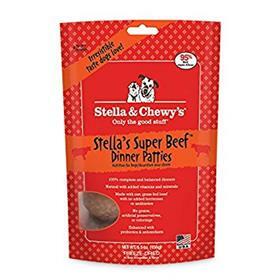 They are a complete diet and provide all the convenience of a conventional dry food without compromising the nutritional value, bio-availability, and proven health benefits of real raw meat. Serve as is or rehydrate by adding water. Great for travel, training rewards, and treats.